Explain with images and source code, download links are a must for any application. *NEW* Angular 5.x Universal & ASP.NET Core 2.0 Advanced Starter - w/ server-side rendering for SEO, Bootstrap, i18n internationalization, TypeScript, unit testing, WebAPI REST setup, SignalR, Swagger docs, and more! Chinook is a sample database available for SQL Server, Oracle, MySQL, etc. It can be created by running a single SQL script. Chinook is a good name choice for a database that intents to be an alternative to Northwind. 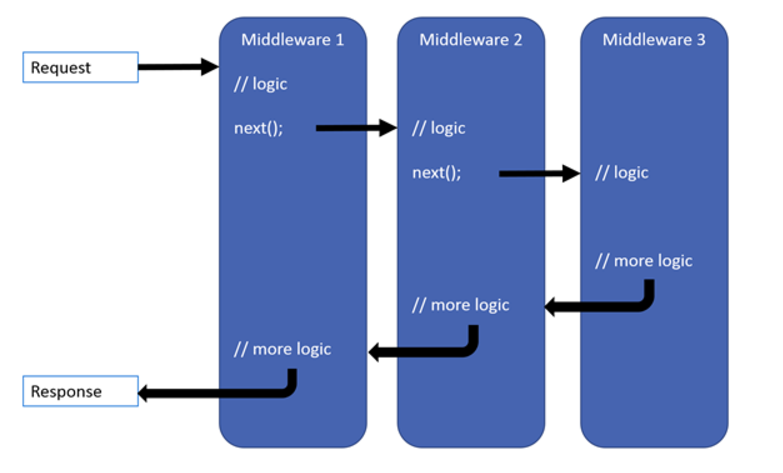 First of all, it is important to understand what middleware is and how the new request pipeline works in ASP .NET Core, and there is a great article on that from the Official ASP .NET Core Documentation. Middleware are software components that are assembled into an application pipeline to handle requests and responses. Each component chooses whether to pass the request on to the next component in the pipeline, and can perform certain actions before and after the next component is invoked in the pipeline. Request delegates are used to build the request pipeline. The request delegates handle each HTTP request.